Almost 50% of General Office Workers in the U.S. said their Required Color Printing is Increasing. According to recent Keypoint Intelligence/InfoTrends primary research, roughly 50% of 18 to 29-year-olds in general office environments said their required office color printing is increasing compared to 33% for all respondents. Furthermore, our study found almost 59% of all office workers indicate no change or decrease in their required color printing of work-related documents. Our survey found that companies with less than 100 employees showed a greater increase in their required color printing overall. For all your required work-related printing is the use of color increasing, decreasing or remaining the same? In addition, 40% of general office workers said that their optional work-related color printing is increasing. Again, this was highest among 18 to 29-year-olds in our survey results, with 55% stating their optional color printing was increasing. Furthermore, compared with our 2016 survey results, in the U.S., color printing of optional documents is growing. Growth in color output can be directly attributed to the growth of color devices in the market. In fact, in 2017, color EP office devices grew 2.7% year over year. As the price of color printers and MFPs continue to decline more and more people have access to these devices in the office. 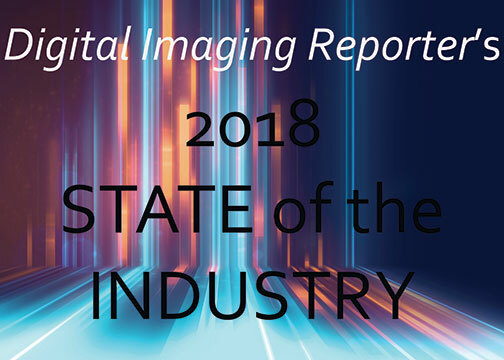 In fact, general office users in our survey, said the reasons they have increased their color printing was that it adds more value to the document, makes it easier to read and that color prints are more influential overall. This is just a sampling of some of the key findings, from our recent primary research survey results. On October 22nd, Keypoint Intelligence-InfoTrends Office Group Analysts will be presenting a Webinar “Future of Office Print” please select the links below if you are interested in attending. Office | Comments Off on Almost 50% of General Office Workers in the U.S. said their Required Color Printing is Increasing.